Typically used before, during or after sport, massage can enhance performance, prevent injury and improve recovery time after activity. Ordinary massage results in a generally increased circulation of the blood and lymph flow. Sports massage concentrates more specifically on deep tissue massage of muscle groups relating to those parts of the body which have been or will be involved in sporting activity. It is used both as a preparation for sporting activity and as rehabilitation after any sporting injury. The overall aim of this treatment is to reduce inflammation, pain and stiffness, whilst maintaining flexibility and preventing further injury. Regular sports massage can shorten your recovery time between work outs, improve the range of motion and muscle flexibility and sharpen mental focus. It’s particularly helpful for those suffering current or long-term injuries, as it reduces inflammation, pain and stiffness, and helps heal strained muscles. Sports massage can also be beneficial for those with physically demanding lifestyles such as gardeners, labourers and mothers of small children. Used before activity the massage will warm your muscles, increase flexibility and blood flow, preparing you for increased athletic endurance and reducing the likelihood of muscle sprains and tears. Post activity massage will promote relaxation, reduce stiffness and decrease lactic acid build up. The massage will help if you are suffering from current or long term injuries by reducing inflammation, pain and stiffness, breaking down scar tissue and healing strained muscles. Your massage therapist will be trained to know how the different muscle groups will be affected by the specific movements and stresses of your sport or activity. 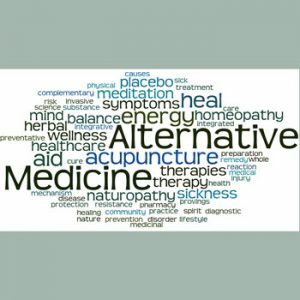 Depending on your needs your therapist will use a combination of techniques including Swedish massage, acupressure and deep tissue massage. They may also use rhythmic compression massage to warm up the muscles, cross fibre massage to reduce adhesions and lymphatic drainage to aid the removal of waste toxins.